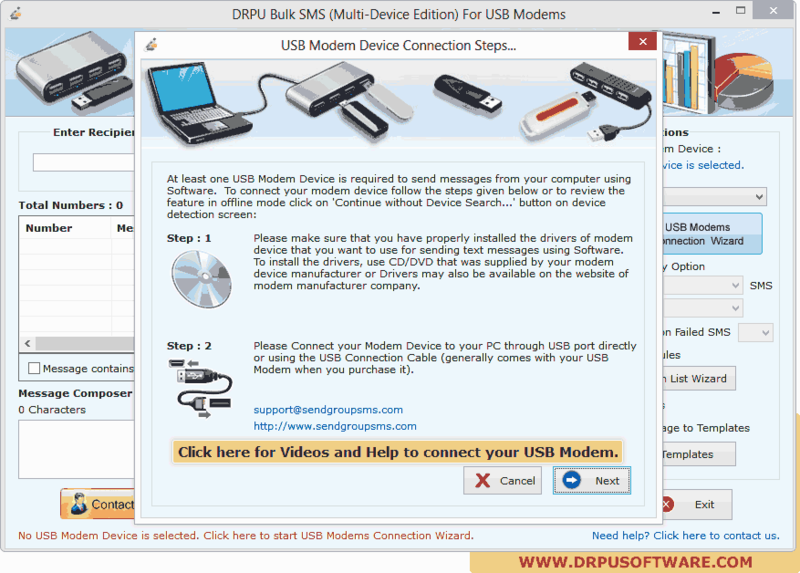 Connect your USM modem device to your PC through USB port directly or using the USB Connection cable. Click Next button to proceed. 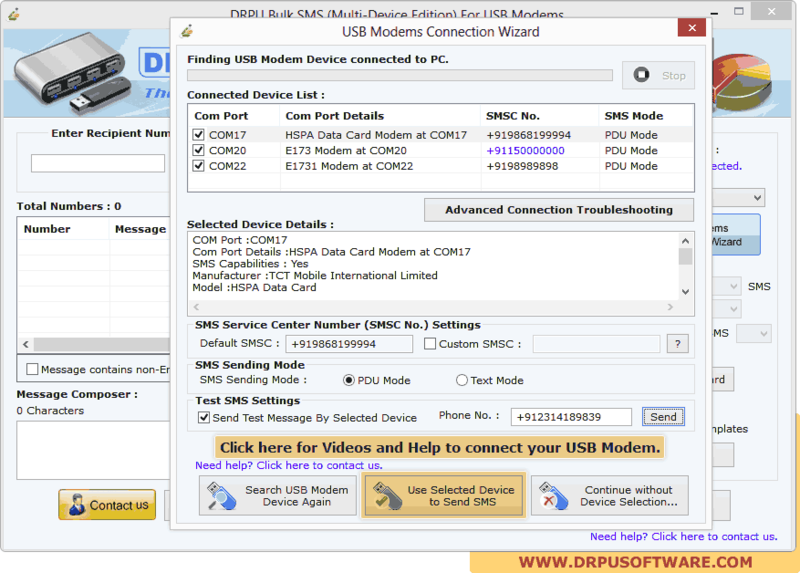 Above wizard displays list of connected device along with details of selected device. 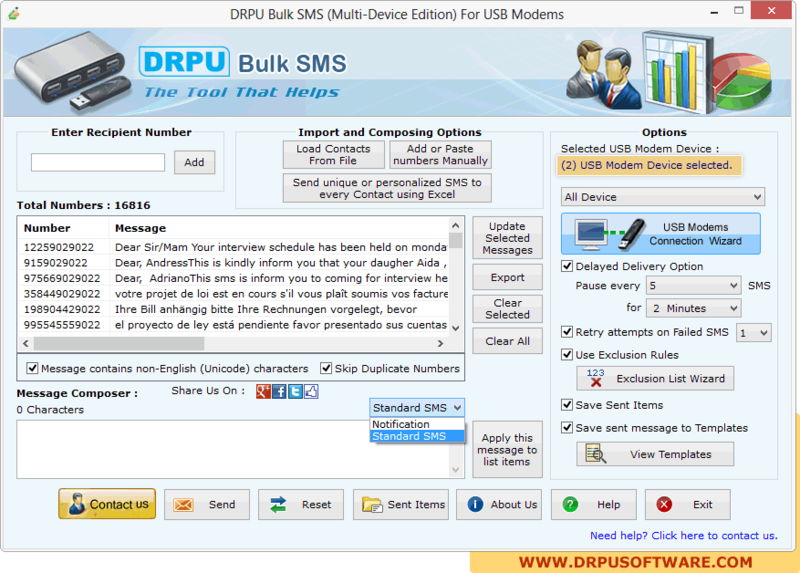 Then click on 'Use Selected Device to Send SMS' button. Click on “Load Contacts from File” button to load contacts, click on “Send” button to send messages. 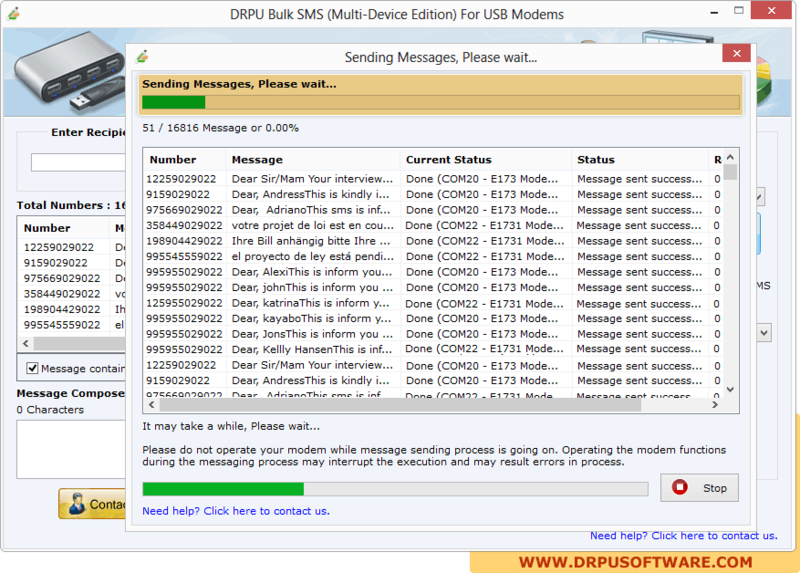 Screenshot shows message sending process, click on Stop button to stop sending process.